Tracking drivers’ activities through the Internet of Things? Really? How? 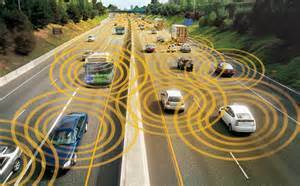 Through “connected car” technology. Increasingly, more and more late model vehicles are falling into the 4G and 5G status line. “Yes, it’s a mad, mad, mad, mobile world. And nowhere is this more true than in the multifaceted auto industry, where car manufacturers that once seemed out of touch and needed government assistance to stay afloat are introducing cutting-edge mobile tech into their vehicles. Detroit and Silicon Valley are no longer worlds apart; rather, they’re forming partnerships,” reports TechTarget.